Another night out in town. 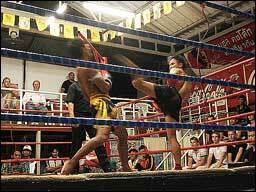 Muay Thai boxing is a international fighting sport. 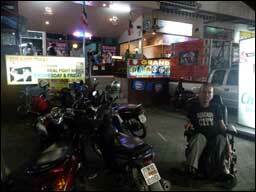 The boxing garden in Hua Hin near the Grand Hotel is well known for many years. The entrance has a lot of steps but the driver can help you to enter with our ramps. Or you can have yourself lifted. Strong men available. Afterwards you can have a stroll along the weekend market. Consult our manager on what nights the fights will take place. The driver will drop you off near the boxing arena and will pick you up at the same spot where he left you. 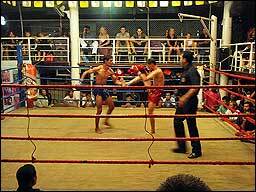 Entrance of Muay Thai Arena. Booking on the spot only. Payment in local currency..